The Sierra Madre Tattler! : Is China Cracking Down On Its Wayward Wealthy? As vast amounts of cash from China continues to make a considerable impact on the local real estate market, indications from Beijing are that the open side door that has allowed much of this quite possibly embezzled money to flood into California is beginning to shut. The new anti-corruption drives of President Xi Jinping in China are being credited as the cause for this change. Something that could have a considerable effect on the real estate market both locally and throughout the west coast of North America. Among other places. After all, without the plentiful cash of China's wealthy political elite and their business partners, how long will our vastly overheated real estate situation be able to sustain itself? That uncle is one of the Communist Party’s most senior figures: Zhou Yongkang, according to several people familiar with the matter. Mr. Zhou, a former domestic security chief who once ran China National Petroleum Corp., is being investigated for “serious disciplinary violations,” according to China’s state media. According to CNN, such investigations into the personal financial affairs of former Politburo members like Zhou Yongkang is pretty unprecedented stuff. Never before have formerly untouchable officials this high in the Chinese political firmament been prosecuted for corruption (link). 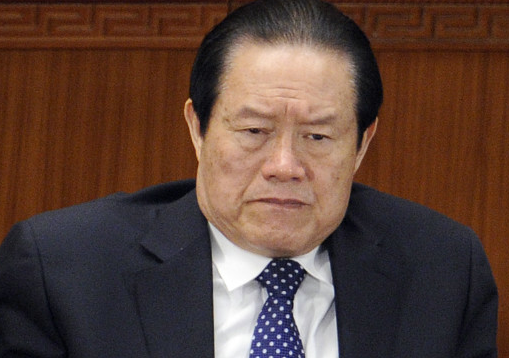 China announces probe into former domestic security czar Zhou Yongkang - After months of intense political rumors, China's ruling Communist Party announced Tuesday an official probe into a retired senior leader for suspected "serious disciplinary violation." Zhou Yongkang, the former domestic security czar, was placed under investigation in accordance with Party regulations, the Central Commission for Discipline Inspection said in a one-line statement without elaborating. State media have reported official anti-corruption probes into many of Zhou's family members as well as former associates in the domestic security apparatus, state oil industry and southwestern Sichuan province -- three places Zhou once ruled. Three of his former senior aides were arrested early this month. If indicted, Zhou would become the highest-ranking official ever to face corruption charges in the history of the People's Republic. "It's almost certain the he would be put on trial and appear in public," said Professor Willy Lam with Chinese University of Hong Kong, a longtime commentator on Chinese politics. "The important thing is that Xi Jinping has proven he's powerful enough to break this taboo of never incriminating former Politburo Standing Committee members -- and in the future he can use this anti-corruption card to thrash his political enemies." Some 182,000 officials were disciplined in 2013, while courts nationwide tried 23,000 corruption cases, according to the Communist Party's disciplinary commission. State media have cited the trial and conviction last year of former high-flying politician Bo Xilai -- a protégé of Zhou -- as a prime example of Xi's determination to clean up the party, though Bo supporters called the case against him politically motivated. "Now everybody is really scared -- and this would have a big impact on the behavior of senior Party members," said Lam, the political analyst. "But nobody expects corruption to be eradicated. It is built into the system, a system without checks and balances." And apparently China's new and powerful anti-corruption leadership is just getting started. The party could be over. Jerry Brown Endorsed Global Warming Tax Hits CA Motorists In 2015 - CA Republicans proposed two bills aimed to stop a cap-and-trade program for transportation fuels which starts up in January that will increase gasoline prices for motorists across the Golden State. The Sacramento Bee reported that since 2006 cap-and-trade laws, designed to reduce carbon emissions, have forced companies to purchase permits covering what they put into the air. Up until now producers of transportation fuels have been exempted from buying cap-and-trade allowances. The 2006 law calls for the expanded coverage in January 2015. Patrick DeHaan a petroleum analyst for price tracker GasBuddy.com, predicts that the new cap-and-trade regulations could produce a 10- to 20-cent-per-gallon increase in fuel prices. Claiming that the new program will push gas prices upward and burden individual drivers, businesses, schools and farms, Republican lawmakers selected the first day of the 2015-2016 legislative session to announce their bill. Just when you thought things were finally getting better. Did North Korea declare war on Sony? You just don't mess with a unicorn riding Supreme Leader, Hollywood. You mean to say that the Communist state of China does not exist to help create wealthy American property owners? I am confused as to why the Communist Party has allowed so much serious money to leave their country. They might be rethinking that, 2:46. Watch oil prices shoot back up as soon as we punish Putin/Russia for invading the Ukraine. China is trapped when oil is high. Add this to the "global warming" tax........gas goes bac up. Sacramento always wants its piece of the action. I hear gas is about $2.49 back east. No carbon tax outside Cali! It used to be that the people coming into the San Gabriel Valley were staunch anti-communists from Taiwan and Vietnam. They tended to be more conservative and Republican in their party alligiance. Starting in about the 90's, the majority of the people came from mainland China. Their views are much different. The sudden accummulation of wealth over there is not necessarily because the Chinese suddenly became genius entrepreneurs but because the United States shifted its manufacturing base over to China because of vastly reduced labor costs. The laborers over there are still being exploited and still not making any decent wages to speak of. However, the people connected and loyal to the Party over there i.e. the Communist Party, have made alot of money off the backs of these laborers. There is alot of corruption and alot of exploitation going on in this proces.. Many of these people know that the jig may soon be up hence the desire to move as much of their ill-gotten gains over to safe havens like the United States. In response to this massive exodus of wealth and brain power, the Communist Party is cracking down. This explanation certainly does not apply to everyone coming from China but it does apply to a very significant number. How this all impacts on the United States in ways other than rising real estate prices is something to keep an eye on. If that crackdown continues, you will certainly see real estate prices go down in the San Gabriel Valley. Suddenly those $1 million dollar all cash property purchases aren't going to look quite so glamorous or brilliant. Along with all those refugee Chinese billionaires I think Karl Marx emigrated to California as well. He got more votes than Neel Kashkari did. So did Jerry Brown. And he is going to tax your gas. Fight unfair gas taxes. Go electric. that's right! let's pollute states that burn coal to create our electric power instead. I make mine with solar panels. I don't pay anybody anything. Oil companies, electric companies, gas stations? I just laugh as I drive by. For free. does it also power that jet you take when you fly out of town? Those "free" solar panels were subsidized by CA taxpayers. Doh! Will North Korea be selling unicorns for export to the United States? If so I know some local real estate people who love those things. They're also good for eating. Arcadia has sold its soul. You can thank Bill Clinton for the $500,000 visas. He had to pay back China for all the campaign $$ ala the Hsi Li Temple and monks passing cash to Al Gore in brown paper bags. I don't think Arcadia sold its soul. I think it misplaced it, and by the time it noticed there was a problem, it was too late. Like most city hall types, all they cared about was the money. These monster houses mean many unsupervised youth as their parent globe trot the planet on their shopping junkets. Some parents buy the house for the teen that will live alone. This situation spells higher crime rates as the unsupervised youth are left to their own mean. They also have an unlimited supply of cash for their enjoyments. We not only loose our culture and neighborhoods...many of these kids spell trouble. Call me a racist if you want, but check with Arcadia and San Marino first. Arcadia needs to hire Kim Un Jong to instill rigor in Arcadia's neglected McMansion youth. He is not afraid to discipline. I had one of those parachute kids living next door to me about a decade ago. Teenager living with his girlfriend, just pathetic. Chinese parents lived north of Huntington Drive (they have multiple investment houses, typical). After that stopped, it was rented to some drug people, and I got a knock on the door from local police about it. It's had two live-in owners since, and things have improved drastically. Isn't it illegal to let an unsupervised "teen" live alone? Why isn't social serices notified? If I had a houseful of teen living next to me, regardless of the ethnicity, and no visible adult you can be sure I'd be complaining to someone with the authority to do something about it. There were lots of "parachute kids" around here, and it took complaints to the police and the school board to get a grip on it. It was handled quietly by the local asian community after they got the message. That's how things are done in that culture. I know that the "regular" people in mainland China won't have access to all this news about their wealthy fellow citizens, but surely the higher-ups and the spy types will be following these stories. I'd be nervous if I was planning to get out with all the bucks I could but hadn't done it yet. I think we're heading for Chinese Communist show trials. Greedy embezzling rich people humiliated in public for the entertainment of the hundreds of millions of hardworking Chinese people who will never have the kind of money needed to buy an investment McMansion in Arcadia. Who knows, maybe they'll even shoot a few. How about the people who got out, set up their MacMansions, put the kids in school, adopted the pets - set up completely here. Will they be secure here, or will the US allow the Chinese government to come and get 'em? The United States has no extradition treaty with China. They cannot be arrested here by the people From back home. Where these folks run into trouble is when they go back to China to take care of business. Suddenly they don't have a passport anymore and the govt is rummaging through their bank accounts. We obviously need an extradition treaty with China. I am going to call Judy Chu and see if she won't propose one in Congress. It is surprising how obnoxious and gaudy all these starter castles are. Usually in upper classes, world-wide, a certain kind of elegance and simplicity are involved. Chinese culture is far more developed than these embarrassing examples. Some people can never have too many chandeliers. Arcadia is 57% Asian according to city data. Huh. Maybe in a few years it'll be the first all-Asian city in America. A glittering metropolis of tacky.